Singapore Airlines has agreed to order eight more Boeing 777-300ERs to support growth plans for the years ahead. Deliveries of the new aircraft are scheduled to begin in the 2013-14 financial year. They will be operated by Singapore Airlines on medium and long-haul routes. The order is valued at $2.3 billion at list prices. 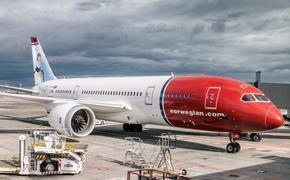 Powered by General Electric GE90 engines, the aircraft will join 19 B777-300ERs already in service. They will be configured in a three-class layout featuring the airline's latest cabin product and service offerings. For more information, visit www.singaporeair.com.